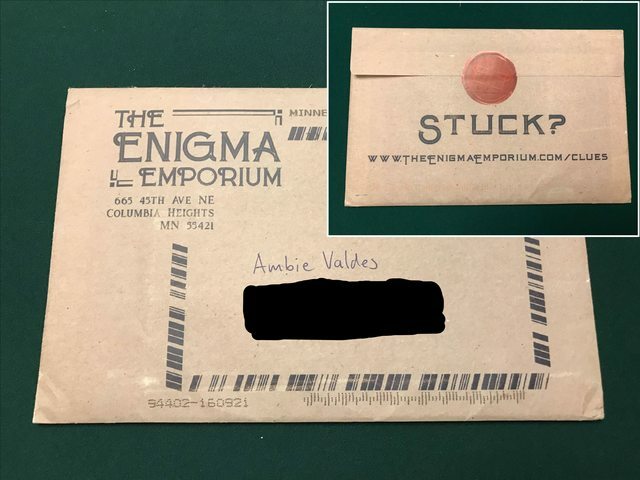 Note: I received a free review copy of Wish You Were Here from The Enigma Emporium. The Enigma Emporium is a new puzzle game company with a concept similar to Dispatch by Breakout, which I’ve discussed on the podcast before. Each Enigma is a story with puzzles that you’ll use the components they send you plus your knowledge and online materials in order to solve. But instead of being a subscription service with an unknown cost, The Enigma Emporium has an up-front cost for each product, and Wish You Were Here is only $12 for the entire package! This can be done because the components are just five postcards, but there are still a ton of puzzles packed into it.